To apply, applicants need to take an IQ test with logic-based questions, followed by a phone interview. No tech or coding experience is required. The final part of The Tech Academy course is the Job Placement Course which covers interviewing skills, resume writing, where to find tech jobs, and gives students access to job placement staff who assist students in landing technical positions. The Tech Academy is in partnership with Concordia University. Financing available with Skills Fund. I have been attending The Tech Academy for about a month now. I have an English Degree from the U of O and had worked a few jobs since graduating, but decided that I needed to change careers and chose The Tech Academy as the means for starting a transition into a brand new field. The thing that I like the most about The Tech Academy is the environment provided by the school. Everyone has their own scheduling confilicts and The Tech Academy allows for all students to be able to put in the hours that they can. I have a wife and child (1-year-old) at home and find it hard to get a lot of work done with the distractions of home, so I appreciate that The Tech Academy provides a nice place to concentrate with plenty of instructors on hand whenever I have questions. For me I come in early and put in about 8-10 hours a day and then can get home at a decent hour and can still be the huband/father that I want to be for my family. The course material is thorough while still moving along at a decent pace. It is not overwhelming for someone like me who does not have much of a background in the tech industry. There is also a big focus here on developing the skills (technical and social) necessary to find and get jobs. Overall my experience so far has been very positive and I would recommend The Tech Academy to anyone thinking of jumping into computer programming. Hi Tom! Thanks for the review! I'm glad to hear that the flexibility of our program has been working out for you and your family. Keep up the good progress you've been making! At the Tech Academy I was given a huge breadth of not only technical, but personal skills. They have solid structured curriculum covering many of the top languages and skills to create a very strong base for a developer or coding career. On top of all this Tuesdays and Thursdays, there are interview practice sessions that proves to be incredibly helpful in honing interview etiquette or just keeping them sharp. With a personal interest in Business Intelligence and a possible data future, The Tech Academy was my choice for its focus on SQL, C# and Python. The most important thing to remember about The Tech Academy is that you can easily breeze through if that's your goal, but what effort you put into the program is what you will gain out of it. Thank you Yuchin, for your review of the school. I'm so glad that we've been able to provide you with both technical and personal skills. From doing the Database and SQL Course, I gained the skills to create, populate, and manipulate tables in a database using Microsoft SQL Server 2012. I also gained the knowledge to write code to query information from database tables that met the parameters requested. As a developer, I can use my knowledge of SQL to create dynamic websites that draw from databases. I would like to also use my learned knowledge to further study the LAMP Stack in order to order to utilize the capabilities of Open Source collaboration. My studies at the Tech Academy has laid the foundation for a future in software development. The curriculum and instructors are highly recommended! Hi Jun, I love your feedback from the Database/SQL course! Yes, knowing databases is vital in pretty much any role you have as a software dev, so knowing them well is certainly worth your while. Keep up the good work! I gained a lot of self discipline from the Tech Academy. You learn that the information is out there for you, but no one is going to spoon feed it to you, you have to go out there and learn it. If you're like me where learning new things takes awhile, but once you get it - you get it, then the self-pace setup at the Tech Academy is perfect. I worked a 40+ hour a week fulltime job, so scheduling was very important to me. Looking at other boot camps, the Tech Academy was the only viable with my schedule, and luckily so because I was able to teach myself and push myself to do a part-time contract very closely to a what a fulltime student would have done. Overall, that was my main gain, knowing my limits and when to push and when to hit the brakes. It allowed me to put great content on my resume. Only having customer service and retail on my resume made it impossible for me to look good on paper to potential hiring boards. Completing the course work, linking my github, and working through building a great resume was the best take-away. Having the ability to speak to what certain code could do, or what programming language to use in a certain situation felt good. There is no better surprise than when you surprise yourself with what you know. I felt like a broad spectrum in mulitple languages is the best way to approach boot camp style learning. I'd rather know 70-80% about numerous languages than 100% in only two. The instructors are there to help should you hit any snags - though you are encouraged to really try and find the answers yourself. Almost every Friday they have Tech Talks where they highlight individuals or companys that will come in or Skype in and talk about the current market, and their experience with it. It's available to remote students as well. I will say though, a lot of the instructors are super talented, and while I know it isn't structered like a classroom, it'd be great if the instructors took portions of the curriculum and "taught it" to students. I know that even thought I had finished Python, if one of the instructors reached out and said they were going to highlight a portion of the language, I would absolutely want to be a part of that. Basically while it's up to the students to immerse themselves in languages I also think it would be helpful to have instructors offer that from time to time as well. The job placement portion, which I felt like was the most important portion of the bootcamp was excellent! I worked with Michael as I was a remote student, and he is honestly on top of his game 100% of the time. By far, he offers the most tools to his students and stays on top of the group to make sure they are working just as hard as he does. I honestly feel like it's because of Michaels diligence that I pushed myself to be a programmer even though I wasn't in a job as one. I worked at my job, then I went home and worked as a coder - for seemingly no one, but knowing that some day all that freelance programming I was doing was only going to help me in the end - something Michael harped on. He wasn't wrong either, and within a month of looking for a job I was able to procure one. The Tech Academy was a great experience for me overall. I am now able to be in the career I always thought I couldn't be in because of fear of leaving a secure job, or being too old to learn new things. Being able to tackle the curriculum at my own pace and my own hours really made my dream possible too. The instructors are really great and they will absolutley help you when you really need it. Again, my only feedback is that I think it would also be helpful to see a little more outreach from the instructors from time to time too almost like a mock classroom type of setting where students could attend and ask questions and get into the nitty gritty of the language - or something like that. Again, I went into the boot camp hoping I would leave with a change of career by the end of it, and that's exactly what happened. Wow Ryan, thanks! Very well done on getting through the program while working a full time job. That's not an easy task to pull off! Yes, it definitely takes discipline. Thanks for your kind words about Michael. Thanks for the review, and good luck in your new career! 1. What did I gain from doing The Tech Academy ? programming experience, I would have never figured it out on my own. 2. How has what you learned at The Tech Academy helped me ? will like me enough to answer all my questions. 3. What do you think of the curriculum so far ? or trainable enough to get hired as a developer. Hi Christian! Thank you for your review! I attended the Tech Academy to catch up on modern programming techniques to augment my Software Sales and Business Development background. I needed renewed confidence be more competitive in today's job market. The .net framework, website design and SQL databases have evolved since I started my career and the Tech Academy courses were a perfect way for me to learn and apply new techniques and the self pace is ideal for my lifestyle. The instructors are fantastic and go out of their way to help you solve problems. They do not just give you an answer they teach you how to find it on your own. The coursework was very helpful in landing a job as a Sales Engineer recently. I had much more confidence and made a much better impression on many prospective employers. Confidence is key. Glad to hear that the program was able to give you that confidence. Thank you for the review! I'm a current student at the Tech Academy and have been participating for a little over a week. So far I've been completely blown away. As a relative newcome to programming I was hesitant at first to enroll in a coding bootcamp rather than a more traditional program, but I can confidently say now that I made the correct choice. The sheer amount of work I've been able to accomplish in such little time is staggering. I've felt supported and encouraged at all times in the program, both when I was working remotely and in-person. Not only have I been impressed at the pace and clarity of the learning materials, the Tech Academy seems to have well organized and effective job placement department. They hold weekly roundtables just to practice technical and soft skill interview questions in addition to personalized mentorship. I would highly recommend the program to anyone looking for a fast track to learning how to code, but be forewarned- you will have to work very hard! If you're looking for a challenging but supportive environment, you've found the right place. Thanks for the review! Glad to hear things are going well for you so far and you're being challenged at the right level. Keep up the good work! I've just finished Tech Academy's first course, Computer Basics. A very intense and thorough overview of computer science for anyone, no matter what your previous knowledge. A large part of proficiency in any subject is having a good understanding of the common vocabulary of that field. This course of FULL of vocabulary and succinct descriptions. This class gave me a good review and I've already started learning and understanding new stuff. I come from a background in computer science, but wanted to freshen up my skills and move into something new. I know what I'm saying when I say this is good material! Sometimes the walk through the forest is so thick it's impossible to see where you're going,and it was kind of amazing to see such simple, understandable explanations and examples. This information can be used as reference material going forward and I'm looking forward to the next classes. I'm very sure I made the right decision to study here. Wow thanks for this review Diana! I completely agree with you on the importance of understanding the vocabulary in computer science. That definitely was one of our breakthroughs on this program - defining complex technical terms in simple ways that anyone can understand. It's so awesome to have this validated by someone with a computer science background like yourself. After my second term at Oregon State studying Computer Science, I felt I was not learning enough for my intended profession as a developer, so I decided to search for other options. The Tech Academy had the most extensive coding school I could find in the Portland area, so I decided to give it a shot. In the six months it took me to graduate, I developed a really strong base in multiple coding languages. Because you learn the skills for web language, databases language, and general-purpose languages, you can get an idea of what you want to specialize in. One thing to keep in mind about the Tech Academy is that you learn what you want to. The instructors are very helpful, but its important to be self-motivated and not expect hand-holding throughout. You are being held to your own standards while being provided great resources. The job placement folks are also really helpful and supportive. The Tech Academy was a great way for me to get my foot in the door at a software company, and overall a good experience. Matt, I couldn't be more stoked for you and your new job! You're paving the way for younger talent taking the path of doing a boot camp and then breaking directly into software development, as opposed to the four-year degree. Your initiative and tenacity truly impress me! Best of luck in your new position and to a successful career! For some years I had contemplated making a detour on my career path to software development. But my background was accounting and finance and I did not acquire a great deal of programming experience in the business world except as an end user of many different products, and some very straightforward things such as SQL queries, some Visual Basic, and so on. Additionally, I really appreciated the fact that the program is structured such that it is a great starting point for students regardless of what previous exposure they have had to computer science and software development in general. It also offers a flexible platform on which to study and learn whether you are local to the Portland area or not by allowing for remote study and allows the student to have some flexibility with their study hours by remaining open for a wide range of hours during the day, evening, and even weekends. This allows for the student to study full or part time depending on their situation while still having access to the instructors when they need it most. Learning and gaining skills in software development has been a great experience and I highly recommend checking out The Tech Academy if you are interested in finding a starting point for your journey. So glad that we were able to help you switch careers into something you were more excited about. And of course, who doesn't love coding? Good luck in the rest of your career! Walking into Tech Academy and receiving my interview upon enrolling into this school was a very fun experience. All the staff members were very helpful, funny and chill. In my experience going through high school and a few years of community college, it made me realize something about myself regarding learning. Some people like myself, learn at their best potential when they are in an “intimate” atmosphere. Meaning all the students, instructors and employees have a good relationship with one another. After my older brother graduated from Tech Academy and shared his experiences with me, I knew this school would be the perfect choice under my current circumstances. The self-paced, full-time/part-time, and remote or in-person schooling is a great option for students that are working at a job on the side. If you’re looking for an affordable school that will teach you all of the essential Software Developing knowledge in a concise and candid manner, with awesome peers and instructors, then this is place for you! Hi Eric, thank you so much for your review! Although I don't get to see our registration staff as much as I'd like to, they really are a dynamic bunch. I'm glad to hear that you're off to a great start, and although I haven't had the chance to work with you very much yet, if you're even remotely similar to your brother, I'm sure we'll get along great and you will have continued success on the program and in your career! The Tech Academy was an integral part of my current employment. The courses are sound and informative, the instructors are very kind and helpful, and the overall atmosphere is amazing. A long held belief of mine is if you want to know more about something, go look it up. Research it, find a mentor/teacher, and become the best you possibly can at whatever it is. From my experience, the Tech Academy supports this belief, and facilitates it wherever possible. For those people out there with the drive and ambition to gain mastery in coding, this school will help you to focus and funnel that energy into success. I learned so much from these wonderful people, and am grateful for their generosity and knowledge. Work hard, follow the guidelines they set, and you *will* succeed. Hi Will! I couldn't agree with you more. That's the intention of our school: to give you the essential skills and knowledge needed, so that you can go in the direction that you want. The curriculum was specifically designed so that our graduates wouldn't get "pigeon-holed" into only using one or two languages. Instead, we ensure students learn the core fundamentals of computers and computer programming and teach them 7 different programming languages, so that learning an 8th or 9th is no problem. With that versatility and understanding and willingness to work hard, yes, you *Will* succeed. With the assistance of their job placement specialists I was hired as a full time software developer before even completing the last steps of the program. They work with my schedule to allow finishing the studies at night, remotely from home, or on weekends understanding that I am interested in completing my education. I cannot emphasize enough how fantastic the experience was at the Tech Academy and highly recommend it for entering any IT field or just getting the knowledge as a manager to understand their development team. There is no better opportunity for the cost effectiveness, and the time it takes (about 15 weeks at 40 hours of studying per week). Ben, I want to thank you for your review and for your contributions to the Tech Academy itself. I remember numerous times in our soft skills interview practices, where you gave not only very good demonstrations of excellent interview answers, but deep insight into your own job experiences that I believe really helped the other students. I'm very happy about your new job, and I wish you the best of luck! Please come back soon to speak at one of our Friday Tech Talks! I have taught myself many computer languages and most of my experience with coding has been unprofessional. I have always desired to go to school for software development, but always lacked the funds and time. After working a high paying job for a company that had just gone under I was presented with enough time and money to attend a software boot camp. The Tech Academy having the highest ratings and offering a discount drew me in. The curriculum is work at your own pace, which is nice. The approximate time of completion that is posted on the website and every curriculum, I feel may be a bit of an exaggeration, as I completed in nearly half of the time, however I can understand how someone not knowing anything about programming may take longer to complete the course. As the industry changes so must the curriculum, this leads to a lot of info constantly being changed and updated, which in my opinion is much better than paying for a five year old book that has lost all value and is no longer relevant. The instructors were all very helpful and focused on connecting with the students, this is great if you come into class everyday, but also helps if you work from home. Some of instructors have not completed the course and even would join us in our studies. This was interesting and unconventional, but honestly it helped in making the environment a great place to study. The job assistance. I am a shy guy. Interviews are not my thing. But these guys never gave up on me. They worked hard to help me perfect my resume, cover letter, website, and soft skills for any interview. At the beginning of my time at The Tech Academy, I was afraid of talking in front of people, but by the end of The Tech Academy I was sharing and interviewing like a pro, with confidence. My overall experience, I was looking for a school that would teach me the skills I needed to know to land a job and start my career. What I thought I needed to learn and what I actually needed to learn was complete opposites. I thought once I knew the languages I would easily get a job, also not true. The curriculum was easy and it is my belief that children can learn how to code. Knowing enough to get a job and getting a job are two different beasts. The Tech Academy taught me what I needed to know to get a job, but they also gave me so much incredible support as I struggled through application after application. I would have never landed my job if not for their support. The Tech Academy, unconventional, continually adapting, and very supportive. It is not what I expected, perhaps not what I wanted, but it is what I needed. Thanks for the review Andrew! I'm glad you were able to get through most of the courses in half the approximated time. You are a pretty sharp cookie! Very well done on your persistence on your job search, and I hope you're doing well at your new job! Here's to a satisfying career! 1. It started with talking with the Registration staff about the program. They were helpful and not pushy (which I appreciated). I wasn't into the entry testing but I did it and passed. 2. The first course was computer basics. For me this was beneficial because I hadn't written code before. The first 2 or 3 courses really helped me understand computers and programming and I felt more confident that I could learn coding. 4. The live project was awesome. I got to help on an app they were making and it allowed me to use some of my skills and I found out I had a bit more to learn... It was nice to do a real life project. 5. Finally, I got into the job placement section. They have a short class on job placement and a job placement director to help students. At first I had thought that I would just be handed a job but this wasn't the case. I had to apply at various places and it was rough for me because I'd never had a tech job before. Luckily the school helped me out a lot and after 3 weeks I got hired. Wow! Your jump in pay-grade is very impressive. So happy to hear that you had an overall positive experience here, and that you ultimately achieved what you wanted to and now you're coding for a living. Congrats to you! Thank you for the review! The course on SQL was my favorite. It's a very well-designed curriculum. I went from knowing very little to being very confident of my knowledge and skills. I like the focus on actual practice to build skills. Hi Jesse! Thank you for the review. Yeah, a lot of people going into development don't realize how important it is to know databases. No matter what you're doing, you're bound to have to deal with databases here and there, if not every single day! And not all coding boot camps teach you about coding. So, yes, emphasis definitely is put on the essentials you will need in a real world. I learned how to create databases and to manage the data within. I also learned new logic for how to program in these databases, which I believe will be a good precedence going forward for other languages that I will learn, even if the syntax is different. I also learned how to really dig into sites like Stackoverflow and the like to help me find solutions to problems that I may not have been able to do otherwise. By learning how to research solutions I believe I'll have an easier time on the job in the future, as I'll be able to dig up my own knowledge without having to ask questions all of the time. Awesome to hear what you got out of the Database/SQL course Jessica. And it's great to hear that you learned how to dig into different sites and get solutions to problems. You're totally right that that skill and ability is crucial in actual practice on the job. I learned that Python can be used for just about anything in software development and that it does it quite well. I plan on using Python to create a website with a database attached. I also intend to write some "Quality of life" scripts with it. Scripts that could cut out endless "copy + paste" tasks and maybe even a script that updates my desktop background automatically. I'm also interested in what games I could create using the PyGame module or a similar one that focuses on game development. I gained confidence in knowing a programming language and the ability to start writing a program without much hand-holding. The drills near the end of the course were great practice and I feel much more proficient at how to google for answers, which is a skill in itself. I also feel that I have a great jumping-off point for getting into other languages due to being able to compare ideology from something I already am familiar with. To summarize my experience, knowing the bigger picture of how a language works and what it can do was a real eye opener. I feel as though a door has been opened and I've taken my first big steps into creating original programs. I would highly recommend to anyone in this course (or any course for that matter) to create an account on Stackoverflow.com. It's an incredible place to ask questions and a community you'll benefit greatly from as a developer. Welcome to the wonderful world of Python! Yes, there's so much you can do with it, and great to hear your enthusiasm to get going with it! Well done on completing the Python course, and good luck with the rest! Python was my favorite course so far. The versatility of python is amazing. Using python to connect to databases and write other types of code (like HTML/CSS or SQL) is VERY powerful and I can only imagine the possibilities. Because of how versatile Python is, I anticipate using it in various personal and professional applications. I gained a lot of 'thinking like a developer' from taking this course. For instance, the ability to plan out how to use Python to achieve certain goals/functionality within an application and then, piece by piece, making that happen. More importantly, I learned a lot about what it means to be committed to finding a solution. In one of my drills, I spent a lot (perhaps too much) time trying to figure out what was WRONG with my code. Learning to follow along with tracebacks/logs and make changes based on the errors given can save a lot of time and headache when you think critically about what those errors really mean. A lot has changed in my life from when I started Python at The Tech Academy until now so this was a big achievement for me. I'm proud of what I learned and I hope the critical thinking and problem solving skills I've exercised during this course will follow me into all aspects of my life. Thank you so much for your review! Yes the Python course is definitely a life-changing experience. One-for-one students run into a brick wall on that course, and then have to figure out how to get through it. Very proud that you're through it and through the rest of the curriculum now. To your career ahead! I discovered WordPress and received a good overview of how it works. I also gained some knowledge in what current website designs look like, which is valuable even though it is likely in a state of flux. 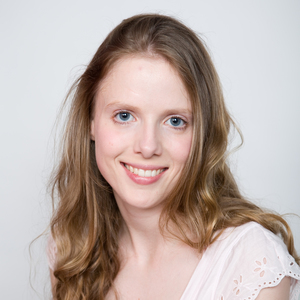 Hi Jordan, thanks for sharing your recent success after finishing our WordPress course. I agree, it's amazing that 20% of the websites that exist today were made using WordPress. Glad you got so much out of this course, and good luck on the rest of the program! Ryan, thank you for your review and your success on the Live Project! I have to say, having students do the Live Project makes things much easier when it comes time to get going on the job search. And I was so happy to hear earlier this week that you landed a software job! Congratulations, and here's to a successful career! The course on computer basics, has open my eyes. At first, I though it was overwhelming. As my course progresses I learnt more about the front and back end of a computer. This is a career choice, I won't give up. It's not complicated like people claims to be. Knowing what's behind the scene of any software, application or hardware is rewarding on my work challenges a head. I really thanks Jesse, one of the instructors for his wonderful help through this course. Sam, I'm so glad that you got so much out of our computer basics course! The Tech Academy designed that course to take the confusion out of the complicated and intimidating technical nomenclature and to make things simple. Thank you so much for the review, and keep up the good progress throughout the rest of the program! Thank you so much for your review! I'm so glad that you were able to get out of the Live Project what we intended that everyone gets: real-world experience. This is definitely a confidence-booster. I'm sure that this experience will assist you in your future career! To be competitive as a Senior Sales or Account person you need to distinguish yourself from all the other Sales people. I decided to take the Tech Academy training to do just that. In my 30 years in this business it was always apparent that Software Sales People lacked the background to effectively communicate with Software Engineers. If you just take orders and don't really sell anything your technical acumen does not matter. If you really have to execute a sales process to win business you need to establish credibility and rapport with Software Developers. You can have technical people help you but to find and initiate new business you need to engage on their level. I've managed to do this for years but as this business evolved my knowledge is dated, and it showed. I have completed all the courses up through Java Script and found them to be helpful in many ways. First of all I always thought I knew the basics of the business quite well. Wrong. I maybe had 50% of the basics info and quickly discovered that I really lacked fundamental knowledge and so many things have changed. I was able to boost my knowledge in this area to 99%. This and all the subsequent courses have increased my confidence and it really paid off. My job category is that of a Senior person and interviews for jobs like this go on for months. I may not have ever applied for a Sales Engineering job without the coursework I have under my belt. I did apply for one with the help of Danny and Michael. Part of the interview process was a presentation in front of the VP. Michael and Danny made a suggestion about standing up and using a laser pointer and it worked so well that after 10 min they had seen enough and put me through the rest of the process. Thanks to the Tech Academy coursework and Michael and Danny's idea I will be starting my new job on Monday the 11th. Ben was an audio engineer but started to burn out working in the music industry. Friends suggested he try coding, and he discovered The Tech Academy’s self-paced coding bootcamp in Portland, OR. 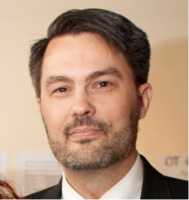 In six months, he changed careers, and now works at the school as an instructor and CTO! 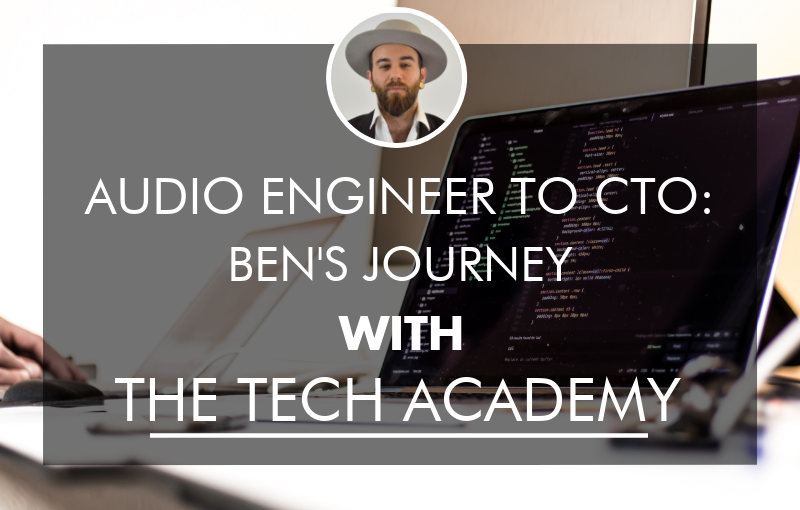 Ben tells us about the cross over between music and software engineering, why he loves teaching and working with his engineering team at The Tech Academy, and his plans to build software for musicians. What was your background prior to The Tech Academy? I’m an audio engineer by trade. After graduating high school, I tried going to college for music production, but I didn’t like the learning style. I went to a trade school for a year, did freelance sound engineering at various music venues, then became a house engineer at a recording studio for six years. Eventually, I was tired of working in the music industry – working in a studio doesn’t produce consistent money. I received lots of suggestions to move towards the tech industry and saw it as a good opportunity to get a change of scenery from South Carolina. I found The Tech Academy, saw they had great reviews, and decided to take a chance and move out to Portland. What attracted you to The Tech Academy? Did you consider any other bootcamps or attending college? I realized that I don’t do well in a lecture environment. It’s hard to maintain focus if I’m not totally interested in the subject. I needed a self-paced program like what The Tech Academy offers. A couple of other bootcamps had a similar structure, but didn’t teach certain programming languages, or they were in the wrong location, or they had a few negative reviews. Also, when I called and spoke with The Tech Academy staff, it felt like they really wanted me as a student – they were warm, welcoming, and informative. Did you ever try to teach yourself coding? I did a bit, however, it would have taken a lot longer for me to have reached this point on my own. One of the biggest advantages of a coding bootcamp, specifically The Tech Academy, is how the team lays out the coursework in a certain way. Having instructors and assistants available every day is also imperative to absorbing the information quickly and getting a good grasp of the various concepts. What was the application and interview process for The Tech Academy? I had to take an IQ test and a personality test and had to achieve a certain score on both. There wasn’t a coding challenge, the team was looking more at my capacity to learn, rather than whether I could already do the work. I didn’t need to have a background in coding before enrolling. I also talked with a staff member who wanted to know a bit about me and what I was looking for in my life and career. Tell us about the other students who were learning alongside you. When I was attending, the gender ratio was a bit skewed towards men but since I’ve been working here, I’ve seen that ratio shift. Everyone came from different backgrounds. Some people had been coding their whole lives but hadn’t had any formal tech education, some people had been developers in the ‘80s and ‘90s and were attending to update their resume because they only know outdated languages. Some people, like myself, had never coded before and were looking for a career change. It was a very diverse group of people, and I enjoyed that. What was the learning experience like at The Tech Academy? It was all self-paced. I would come in in the morning, sign on to the LMS (learning management system), where the school hosts their courses, and would select whichever course I was working on at the time. Each course was comprised of different drills or exercises, reading material, and videos, which all led up to bigger projects at the end of the course. It was a very pleasant and comfortable environment. The instructors were nice and available to answer any questions and there was a lunchroom where we could take a break, and donuts on Wednesdays! There would usually be 20 to 30 students in the course room, or as little as five on weekends. Everyone was quiet and respectful, but there was a good energy. Everyone was very friendly. Everything was done individually until the live project at the end of the program, were we could work with other students. However, they didn’t discourage students from helping each other throughout the program. It was an environment conducive to learning, especially learning topics that require such close attention to detail. It took me about six months to complete. Some people finish in three if they’re doing 40 hours per week, but I was going part-time at the beginning because I was also working. What advice do you have for others who are working at a job while attending a bootcamp? Honestly, the best way to do it is to study full-time, especially if you’re new to coding. It might be a bit easier to juggle a job with your studies if you have experience, especially if you’re currently working in development. But learning to code requires your full attention. If you’re not doing it every single day, or if you break up the learning of a concept over a few sessions, it’s just not going to stick as well, compared to working at it every day for eight hours. I ended up doing the bootcamp full-time after a while. What was your live project and how did you go about building it? How did The Tech Academy prepare you for job hunting? After you complete the live project, there’s a job placement course where students work closely with the directors who help with interview techniques, finding jobs, how to understand if the company is a good fit for you, and assist with navigating trickier parts of interviews like salary negotiations or getting an offer that’s too low. Throughout the time at The Tech Academy, there are soft skills round tables, and technical round tables every week where you can meet up with the job placement directors and run through technical interview questions, dissect questions and answers, and just dive into all the elements that might come up in an interview – both technical and soft skills. I think it’s helpful for a lot of students who have a hard time talking with people, who might not have a lot of confidence, or might not have experience in those kinds of interviews. I believe that a combination of the job placement course, the round tables, and the information presented in the course builds up to a point where you’re confident in your ability, you know how to look for jobs, and you don’t feel like you’re shooting in the dark. What was your journey after the bootcamp? It was a bit difficult for me to find a job right away in the tech scene in Portland. I think I didn’t have enough side projects while I was at the bootcamp, so I didn’t have a great presence on GitHub or have a lot of items to show employers. I started looking back at my notes and wrote my own code more and more every day (which was difficult). I got my GitHub more active, and then The Tech Academy called a few months after I graduated asking me to come interview for an instructor role. What was the interview process like to work as an instructor at The Tech Academy? It was fairly laid back, but it was also challenging. I interviewed with someone who was getting to know me, then had a technical interview with the head of the development team. I had to demonstrate a few things on the whiteboard and explain some concepts. There were a couple of things I couldn’t do, so I looked up the information when I went home and sent The Tech Academy an email follow up with the answers. What’s your role now at The Tech Academy? I’m both an instructor and the CTO. As CTO, I oversee the production of the learning platform and I set weekly goals for my engineering team who are working on the LMS. As an instructor, I help out students with all parts of the curriculum, and I’ve helped develop the curriculum through feedback and suggestions from students. I make suggestions to help improve the courses and I’m currently working through the C# course to update it. Instructors are assigned different courses for review to identify where changes or more in-depth explanations are needed so that The Tech Academy can present a fine-tuned product. We also have cool tech talks every week, so we can speak with people who are working in new technology and stay up to date on the latest trends. My coworkers and I are constantly researching new languages and concepts, especially if we encounter something we don’t know. What do you like about working at The Tech Academy? Do you have any student success stories? There are lots of things I like about working here, the environment is comfortable, and I like all the people I work with. I’ve always been a people-person, so getting to know the students on a human level is really cool. I love understanding what their dreams are, why they came to the program, and what they hope to get out of it. It helps make the relationship more comfortable as they come to us to get help – it’s less of a student-teacher relationship and more like a friendship. Students have gone on to land really cool jobs, working in areas like robotics, and it’s cool that I’ve been able to have some small part in their success. How has your background in audio engineering helped you in becoming a developer? I’ve always worked with technology. Audio engineering doesn’t set you up to be a programmer, but there are studies that show if you’re a musician or in audio engineering, your brain works in a certain way that is more conducive to learning code. So apparently musicians can learn code because of the way our brains work! Do you have any side projects going to help hone those coding skills? I have two projects. One is a text-based “choose your own adventure” type of game and the other is a platform game where you’re a 3D ball, rolling through the platform collecting objects. It’s simple to play but is really quite fun. Hopefully I’ll get to release the games, but it’s mostly for my own fun and working on my own skills. I’ve always played video games so this is a cool new addition to my projects. I’ve also thought about doing a project related to audio. Over the past 10 years, all these analog amps, compressors, and EQs are being digitally remodeled. All this expensive equipment was standard in studios in the ‘70s, ‘80s, and ‘90s, but now you can get a digital version of them for a fraction of the cost and they sound almost identical. There’s a team of developers who are taking these analog components and making a program that emulates it – I think that’s fascinating. I’d love to do something like that or perhaps create a cool app for musicians that helps them schedule their gigs or helps keep track of rehearsal dates, or any number of elements that impact their lives. What advice do you have for people who are considering making a career change through a bootcamp like The Tech Academy? Do it. I think the best thing to do is to find a school that best fits you, with a teaching style that fits your learning style, and offers the languages you want to learn. You don’t have to know if you want to work in front end or back end development, or if you want to work in specific languages. You should just know what types of jobs are out there and what languages are required to work in those jobs so you can identify the bootcamps that offer the languages you want to pursue. Also, ideally, if you can save up enough money to float through a few months while studying full time, that’s ideal. I wish I had done that from the very beginning. Find out more and read The Tech Academy reviews on Course Report. Check out The Tech Academy website. As The Tech Academy prepares to open a new campus in Austin, Texas, we sat down founders Jack & Erik to get the specifics. Read on to learn about the blended online coding bootcamp, why they’re excited to teach students in Austin, what companies are hiring developers in Austin, and what will stand out about the Austin Tech Academy campus in this rising tech hub. As the co-founders of The Tech Academy, tell us what inspired you to start a coding bootcamp. Jack: Erik and I had been friends for nearly a decade before the idea of forming a school came up. During that time, we had successfully completed several projects with each other. We spent a lot of time volunteering together to help the community and even did some fundraising for nonprofits. We noticed that every time we teamed up on a project, it went smoothly. We really complement each other – we both have backgrounds in teaching. I additionally brought years of experience in curriculum development and the myriad of skills it takes in running a business to the table. When Erik brought up the idea of starting a school, I was drawn to the idea of really being able to help others improve their lives. Erik: The technical part of my life started young, when my dad brought home one of the early personal computers, opened it up and taught me all about how it worked. I was fascinated. All through high school I learned to program computers. Then, in the Navy, I learned even more - as a Nuclear Reactor Operator, I was responsible for the maintenance and repair of complex electronic equipment, including computers. I was also lucky enough to be selected as an instructor at a training facility, and I found out that I was good at it and I loved it. Later, during my career in technology after leaving the service, I found myself mentoring others and teaching whenever I could. So when I heard about this new breed of training called “coding bootcamps”, I knew I’d found my calling. Since I know my limitations, I turned to Jack for his expertise in establishing and growing businesses. We both shared the purpose of breaking down the barriers between people and technology, and we have found that the bootcamps are a great way to do that while giving people a lucrative and rewarding career. Why is The Tech Academy choosing to expand in 2019 to cities like Austin? We want to ensure that there are coding bootcamps available for everyone across the United States. We’re opening in cities like Austin, which have a strong tech demand/growth, yet aren’t already saturated with code schools. We want to open as many new Tech Academies as possible to enable students across America to experience studying our programs in-person. While it’s true that our programs can be taken online in full from anywhere in the world, we’ve found that over half of students prefer to attend at a campus. We strive to provide the same quality of service to students regardless of how they choose to study. Why is Austin a great city for a coding bootcamp? We love the culture of the city. We both live in Portland and Austin is a “sister city” for us. One of the city mottos of Austin is “Keep Austin Weird.” If you’ve ever been to Portland, you’ve undoubtedly seen the occasional “Keep Portland Weird” bumper sticker or poster. Austin is named as one of the top tech cities in the US on several “best tech city” lists. There is a strong demand for technology workers here and we want to help fulfill it. There are also branches of major tech companies here, including Facebook, Google, HP, and eBay. It’s an artistic city, with a strong tech presence and affordable cost of living – the perfect place for a new Tech Academy. There are already a few coding schools in Austin. What will make your bootcamp stand out amongst the competition? True, but compared to some major cities, there’s not much competition in Austin. The Tech Academy exists as an option for people who can’t commit to rigid study schedules. Our programs are scheduled around your life. Additionally, our curriculum is meant to open the door for the total beginner. That means that you don’t need to pass a coding exam or have past technical experience to enroll. Our flexibility and bottom-up approach sets us apart. What is the Austin Tech Academy classroom like? Our Austin campus opens January 7, 2019. It is 3,000 square feet, has plenty of classroom space, free parking and everything students need to get through their program. We attempt to provide students with a distraction-free study environment. Therefore, our schools are not “shared spaces.” The classrooms are only used by Tech Academy students. We typically provide an eating area and other basic amenities. Plus, there’s always free coffee waiting for you at every campus. What tracks or languages are you teaching at the Austin campus? We are offering all of our boot camps at our Austin campus. How many instructors and/or mentors do you have in Austin? The student:instructor ratio works out to about ten students per instructor. We have two excellent Instructors for The Tech Academy Austin. One of them worked at The Tech Academy headquarters in Portland for over a year, so she knows our standards and how we operate. The other Instructor is currently training in Portland in preparation for the grand opening. Both are graduates of our Software Developer Boot Camp. How many students can you teach at the Austin campus? In the beginning, we will accommodate around 30. But in the near future, we hope to see 50 students attending. Will the hours at the Austin campus be similar to other campuses? Austin will be open weekdays in the beginning. We intend on being open evenings and weekends as well, soon after the grand opening. We allow students to choose their own study schedule. They purchase a certain amount of weeks of access to their bootcamp and we allow them to study whenever they want during that time. How is the Austin campus similar or different to the other Tech Academy campuses? We will attempt to decorate the campus to reflect Austin’s style but we maintain a consistency with all campuses. What this means is that Austin students will have the same quality of campus as all other Tech Academy students. What types of companies are looking for junior developers in Austin? There is a wide range of available tech jobs in Austin. A lot of the major tech companies hire talent through a staffing firm but there are openings at IBM, Facebook, Cisco Systems, even Walmart is hiring developers. On top of that, there are many small businesses and startups. Graduates of The Tech Academy Austin can expect jobs as entry-level software developers. Most of our graduates stay in their city but our job placement staff will assist students in finding jobs wherever they choose. What Austin meetups/resources would you recommend for a complete beginner who wants to learn about coding bootcamps? Course Report is a great resource. Meetups.com is a great resource for locating meetups in Austin. 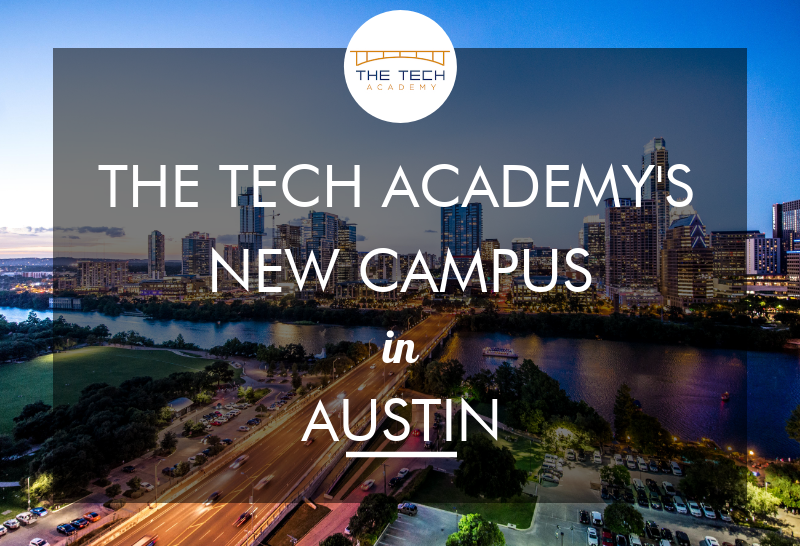 We are very excited to bring our latest Tech Academy to Austin. It’s a beautiful city with great people in it and we’re looking forward to helping fill the tech demand! 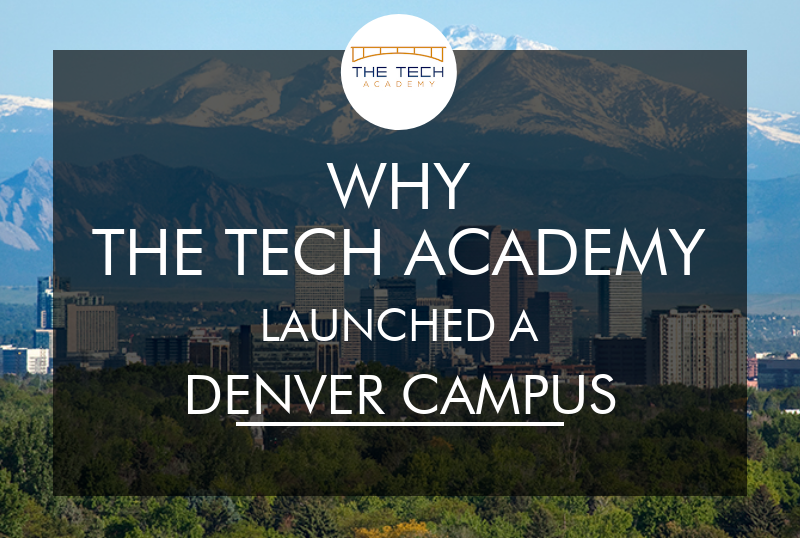 The Tech Academy is expanding to Denver, and their new campus will be run by Cole Dixon, a former student and instructor who worked in tech for three years before returning to the school that jump-started his career! Cole tells us what the new campus at The Tech Academy is like, how students will interact with instructors and students from campuses in Portland and Seattle, and the companies hiring developers in Denver. What’s your background before becoming Dean of The Tech Academy Denver? I attended The Tech Academy as a student in 2015 in Portland, Oregon. I became an instructor there, then eventually became the Academy Director, overseeing the other instructors and handling advanced coding projects. I eventually decided to leave The Tech Academy to get some real-world coding experience. When I went back to Portland for the holidays, Jack and the crew at Tech Academy told me they were thinking about opening a branch in Denver and wondered if I would be willing to step in. I really liked my job and my career at that time, but when they told me their plans for the future of The Tech Academy, I knew it was a good opportunity to come back as the Dean of the Denver campus. Why were you excited to work for The Tech Academy? What stood out? I didn't have any second thoughts about working as an instructor at The Tech Academy. I knew the curriculum and I'd helped flesh out parts of the Databases lesson. I felt comfortable with the staff and the students there, so I felt it was a good place to jumpstart my career. As a student, I was scared about making the career change so I definitely wanted to make the right choice. I did some due diligence with my research – Portland has quite a few coding bootcamps, but The Tech Academy has worked their way up into the top tier. I liked the immersiveness of The Tech Academy course; they didn't make the assumption that you already knew computers. They let you start from the ground level and build your skill set. There are already a number of well-known coding bootcamps in Denver, CO. How will The Tech Academy stand out amongst the competition? One super beneficial aspect of The Tech Academy is the help with job placement. Not many coding bootcamps have a course to help you through job placement, and that helped me make my decision to go to The Tech Academy as a student four years ago. We'll teach you the code and from there, we help you get your foot in the door with companies. There is a course that you take after all of the computer knowledge and coding courses that is specifically tailored to assisting students in finding a job in the tech industry. There are people on our team who are very talented at placing you based on your skills and interests. We have very close ties with recruiters and other groups within the tech industry. We do mock interviews, help you flesh out your resume and Linkedin, and we help get your GitHub up and running so you can show off all your code. We do our best to help students through to the end; which is employment. What is the new Denver campus like? The Denver campus officially opened in July 2018. We're located in Wheat Ridge, a small, up-and-coming suburb of Denver on the west side. It doesn't differ too much from the other Tech Academy campuses other than the layout and the structure. We have the entire downstairs of a shared, modern tech office building. The open layout makes the space feel not segregated. We have whiteboard walls – students can write and do debugging processes. Students can move between different campuses, so The Tech Academy tries to provide the same feel as Portland and Seattle. If a student was going to start in Denver and move to Seattle, they’re not going to lose any of the learning material. How many students and instructors are there at the Denver campus? Currently, we can accommodate 15 to 20 students on campus at any one time. I’m the main instructor, so students can expect a 10:1 ratio, if not a few more. All of our instructors teach across all the campuses in our online portal where students submit drills and show us their code. Since we use the same online portal at every campus, students can also work with instructors who are based out of Seattle or Portland. Students will probably end up working remotely with other students from these campuses too. The Tech Academy has built a very integrated system, where they do have campuses located in different states, but none of them are completely isolated. How does your teaching style at The Tech Academy compare to your tutoring style? I hadn't done any formal academic teaching before The Tech Academy, but I had done a lot of Science and English tutoring and mentoring with younger students from middle school on up. In tutoring, I want a student to reach the conclusion with a problem. At a coding bootcamp, students should expect the teaching style to be a little bit more hands off. I still want students to reach a conclusion, but I know that the same application can be written a million different ways. As an instructor, I sometimes need to step back, let students build the application, then review their code. I focus on distilling what they built down to the most practical use of their code – not making it too clunky or wordy and making sure there are in-line comments and documentation. The Tech Academy teaches a lot of best practices for the industry. What programming languages do you teach at The Tech Academy? Do you tailor the curriculum for Denver companies? I'll include some activities or code reviews that other campuses don’t teach. But the curriculum itself is the same across Portland, Seattle, and Denver. We bring you from the front end to the back end, application engineering, and then we show you how to integrate all the languages together. In the Denver area, all the languages we teach are highly sought after – we're not teaching anything for which you would have to move out of this area to find a job. The Tech Academy is self-paced, but how many hours should prospective students anticipate spending on the bootcamp? That varies – The Tech Academy offers 15, 20, and 30-week courses, but the most commonly sought after one is the 20-week course. The curriculum is roughly 600hrs (this is based on an average from past to current students). Some students are able to get it done sooner than others, so it varies based on the amount of time and effort put in. We understand that a lot of people have full-time jobs and lives outside of a coding bootcamp. Pre-planned vacations, moving, selling a house – we're very accommodating. Some students take this on as their full-time job by working for eight hours a day, five days a week. We have other students that do three or four hours at night after their job, and then a couple hours on the weekend. I would plan for about 20 hours a week, that’s totally a substantial amount of time to meet deadlines and retain the knowledge while still living life. Tell us what you know about the tech scene in Denver. What kind of companies are looking to hire junior software developers? Denver is a big tech hub and is constantly growing its tech job opportunities – all the way from Northern Fort Collins down to southern Denver, and over to Western Boulder – it's a very broad area. There are several big companies – there's an Oracle office based out of Broomfield just west of Denver, and Google just opened a campus in Boulder, which is not far from Denver. Amazon has been eyeballing Denver for their campuses out here and Slack is opening an office here. With the jobs in Denver, it really just depends on what a student really wants to do. In my years of being involved with the Tech Academy, as students go through the program, every student always ends up finding that one language, or that one aspect of software engineering, that they fall in love with and really pursue. How does The Tech Academy adapt to student needs? What if someone isn’t progressing as quickly as you had hoped? We do see that from time-to-time. The deeper you get into coding, the more complex it can be to understand how objects relate to each other. In those cases, we take the time to sit down and walk students through it. I happen to love debugging and working a problem backwards, and that's a skill that every software developer should have, so we take the time to teach it here. We've also done a couple of lectures where students watch us debug through a problem to see how we can identify the bugs and work backwards. Describe the ideal student for a coding bootcamp like The Tech Academy. Are there certain students who do really well in the class? Most of our students thrive, but the ones who do really well in the program, are learning and paying attention essentially from the very first course. They're learning all about their computer – the inner workings, the lingo and all the acronyms. If you've ever been to a tech meetup, sometimes it can sound like everyone is speaking a foreign language. We don't just teach you code and let you run free with it. We're deeply instilling the thought process for you to ask questions like: Why is the code running this way? How is it going to interact when you start to throw all these other pieces into it? Anybody who really wants to have a deep understanding of the code and why it's working the way it does, does really well at The Tech Academy. What advice would you give a prospective student who's considering a coding bootcamp like The Tech Academy? The Tech Academy is definitely the newest in the area, but research all the bootcamps that are around – Denver's got quite a few. Attend a couple of meetups and see what languages or types of jobs you might be interested in. Once you find a school that you like, make the commitment and try to put as much time as you possibly can into it. It's about making a huge commitment and really dedicating yourself to this career change. Anyone is welcome to come by our campus here in Denver and ask me any questions. I'm very open about my time in the software industry and my experience – I’ll tell you all about how I came to find a career I really love. Do you have any tech industry meetups that you would recommend a complete beginner to attend if they were in Denver and considering coding bootcamps? The Tech Academy does do meetups from time to time on our various campuses – kind of like an 'open house' to come and see the campus, meet the staff and students, and learn about the program. We also do weekly meetups (on Fridays) where students are encouraged to join us online to hear talks with industry professionals and engage in coding challenges. As far as specific meetups in Denver/Boulder, I would simply go to meetup.com and look for meetups relating to the coding language you enjoy, an area of the industry you are interested in, or a skill you want to learn/improve. Developers at meetups are some of the sweetest people in the world. They won’t talk down to you or make you feel bad. Even when I was very junior and a complete greenhorn, they were willing to answer my questions. They love to talk about their careers, their code, and helping junior developers. It can be intimidating, but I encourage people to take that step. Read more The Tech Academy reviews on Course Report. Check out The Tech Academy website. What were you up to before The Tech Academy? Earth sciences have always been a passion of mine, so it was a natural choice to study geology during undergrad at the University of Michigan. I wanted to work in the petroleum geology field so I pursued a master’s degree at the University of Alberta in Petroleum Geology. During my time there, the oil market crashed, so when I graduated, jobs as a petroleum geologist were very hard to come by. I took a geotechnical geology job, but it wasn't exactly what I wanted to do. I was working in geology for about a year before I decided to pursue other options. I've always been interested in the tech industry: the work culture, the types of projects that you can work on – what you can achieve with a coding background is limitless. I wasn't happy with my job, so I decided to make the switch. I used Codecademy to get a ground-level understanding of some of the coding basics. Why did you choose to attend a coding bootcamp? Actually, a friend of mine went to a coding bootcamp a year before I started at The Tech Academy. I asked his advice because his story was similar to mine: he was unhappy with his career as a civil engineer, so he went to a coding bootcamp. Now he's working full-time in the tech industry and he's a lot happier with his career. He went to a bootcamp in San Francisco, but I couldn't afford to live there at the time. I was considering Seattle, Portland, and Chicago, but I ended up choosing a Seattle coding bootcamp because I was able to stay with friends there during the course. Also, the area is beautiful – that helped! What stood out to you about The Tech Academy? I ended up choosing The Tech Academy because of the high ratings from student reviews. What was The Tech Academy application process like for you? I had to take an IQ test, which is about 100 logic-based multiple choice questions. After that, I had a phone interview where The Tech Academy team tried to gauge my previous experiences and why I wanted to make the switch into tech. The process was reasonable; it wasn't anything that would cause you not to sleep at night. I was nervous when I first started Tech Academy, but during the interview process, I was pretty comfortable with describing why I wanted a new career path. Is The Tech Academy self-paced? How do you know when you’ll graduate? I started on January 8th, and I expect that the whole course will take me about four months. I'm fortunate enough to let The Tech Academy be my sole focus right now. The structure of the course depends on your pace and how much you're able to absorb. You can go faster than your projected model by putting in more hours than required, or you can go at the pace that The Tech Academy suggests, and take your time. I aim to work on the course from 9am to 5pm. I'm in the classroom for at least eight hours a day and then I'll do some extra work at home on top of that. Since everyone learns at their own pace, do you learn with a “cohort?” Is it diverse in terms of gender, race and career backgrounds? There are about seven students that come into the classroom. The majority of students work from home, and there are 25 total students in the Seattle area. In terms of gender, I can only speak for the students that come into the classroom, but there are two women and five men. Everybody comes from a very different background, which is really interesting to me. One of my classmates was an English major, one studied biology, another person was in hotel management. People here come from many backgrounds. Who is teaching you at The Tech Academy? Do you learn from pre-recorded videos or are there instructors working with you each day? Since everyone learns at their own pace, are there ever lectures? We learn from pre-recorded videos, but we have two instructors with us in the classroom who can help answer any questions on projects when needed. The instructors are there with us everyday and are very approachable and knowledgeable in the languages that we are learning. We have weekly whiteboarding sessions that the instructors lead, and it gives us a chance to practice our coding skills in front of the class, which will come in handy during the interviewing process. Tell us about your favorite project so far at The Tech Academy! One of my favorite projects was when we had to create a library database. We selected 20 books and authors for the SQL database where we had to create and query account members by their address, and where their library is located. In the database you can search by the types of author or the book title. You can also see which user checked out a book and their contact information, etc. That project was really interesting. It was an all-encompassing SQL project that pulled together all the techniques that we had learned. You can view my work on my Github account. Tell us about the Seattle campus. Are you close to the Seattle tech scene? The Tech Academy classroom is in Renton, a 20-minute drive south of downtown Seattle, and a 20-minute drive south of Bellevue, which is where a lot of tech companies are headquartered. Being in this general area is really helpful because it's easy to get to meetups. Seattle has meetups pretty much every day of the week, so you can just pick and choose which ones you want to go to – I plan on doing that. The classroom itself is really nicely laid out. Everybody has their own individual desk and dual monitors set up. The Tech Academy has computers here in the classroom that you can use, so you don't have to lug your laptop around. The classroom is very comfortable. Has The Tech Academy started preparing you for the job search yet? Yeah, definitely. The Tech Academy encourages you to go to as many meetups as you can. They also have a LinkedIn module of the course where they help you with the general information you should put on your profile and what tech companies look for. There's also a job placement section of The Tech Academy where you work with one of the teachers on interview questions. We also do weekly whiteboarding sessions, so it's been really helpful to get comfortable with the job interview process. Do you have any tips for a bootcamper who's going through the job search? I’m just starting with the job search, but my advice is to put yourself out there. You're going to get told “no.” Don't get discouraged by that and just keep applying to as many interesting jobs as you can find. The more you practice, the more you'll get comfortable with technical interviews. Since you're nearing the end of The Tech Academy, have you thought about what jobs and companies you want to start applying to? There are so many companies out there and tons of different startups. In terms of my own interests, working in the languages that I’ve been able to practice during the bootcamp like C# or Ruby would be really awesome, but I am eager and plan on learning new languages to improve my skill set. I will be happy working anywhere that will help me progress my coding skills and grow as a developer. Working for a company that would set me up with a mentor would be a really good place to start as someone who doesn’t have a background in the tech field. Having a mentor to help guide your coding efforts would invaluable. What's been the biggest challenge or roadblock in your journey to learning how to code? Every day I'm learning something new, and it's a totally new concept since I’m coming from a different field. It’s a great challenge to retain the information that I learned yesterday, and then also apply that to a new concept that I'm learning today. You have to always be on top of your game and review things that you did yesterday in order to make sure that it sticks with you. There’s always new information to learn, but that's also part of the reason I really enjoy coding, because there's so much to learn. What advice do you have for people thinking about going to a bootcamp? Make sure coding is something that you can see yourself doing in the future as a career. You can see yourself working with a team, constantly learning and challenging yourself. You have to be willing to challenge yourself – that's the biggest aspect of coding. If you're on the fence, I would do some of the coding resources online, like Codecademy, to get a taste for coding. See if you enjoy that kind of learning process and line of thought. This coding bootcamp has been a really good experience so far and I've really enjoyed my time here, so I would encourage others to do it. 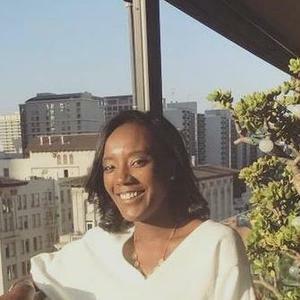 From high school dropout to lead developer for a marketing agency at just 19; Temple Naylor took a huge risk and it paid off. He left school at 16, taught himself to code, then enrolled at The Tech Academy’s online coding bootcamp for a more structured learning environment, and to boost his professional skills. Temple tells us what it was like studying remotely with The Tech Academy, how his instructors went above and beyond for him, and how he landed his Lead Developer role at Coates Kokes! What is your pre-bootcamp story? I’m 19 years old. I left high school at 16 because I felt the classes I was taking would not apply to my future career goals in technology. I was already involved in technology on the side – freelancing and helping people out. It’s something I knew I could excel in, so I took a leap of faith, I didn’t apply to any colleges and said I’d make it work. When I first left high school I was doing a lot of photography creation, creating websites through SquareSpace and WordPress, and helping people put their brands online, using things like Instagram marketing. At what point did you decide learning to code would be a good move in your career? As soon as I no longer wanted to rely on WordPress and Squarespace to make websites! Also, I have an uncle in the tech industry who runs a successful SaaS company. I went to his house after I left high school, and saw that he had this control panel like an iPad on the wall. He used this to control his entire house – his fridge, his stove, his hot tub, etc. That boosted my enthusiasm for tech, and made me realize that coding is something you can actually use to create things and make your life easier. Yes I did. Udemy courses were great, and TeamTreehouse also had some great courses to take if you want to deep dive into a specific technology or niche. I also believe in just building, building, building – that’s how you learn. I took a lot of online courses at first and read a lot of books, but because I wasn’t really building, I wasn’t learning anything. As soon as I realized that you don’t really learn until you fail, I really started moving forward. What made you think you needed something more than just teaching yourself? Did you consider college? I wanted a bootcamp to have someone to talk to at the end of the day – someone to plan everything for me, and to say hey, here are the resources you need, run with it. So that’s what I did. I started out looking into colleges, then realized I couldn’t get into college because I was a high school dropout. Then I discovered coding bootcamps, and saw that they took anyone who had the enthusiasm and passion to move forward. I liked that coding bootcamps were self-progressive in that you don’t have someone holding your hand – if you don’t do the work you’re not going to excel at it, or get anything done. That’s how my whole life has been structured – I’m always helping myself, and pushing myself forward without anyone’s help, so I thought a coding bootcamp was a viable option that would allow me to grow. 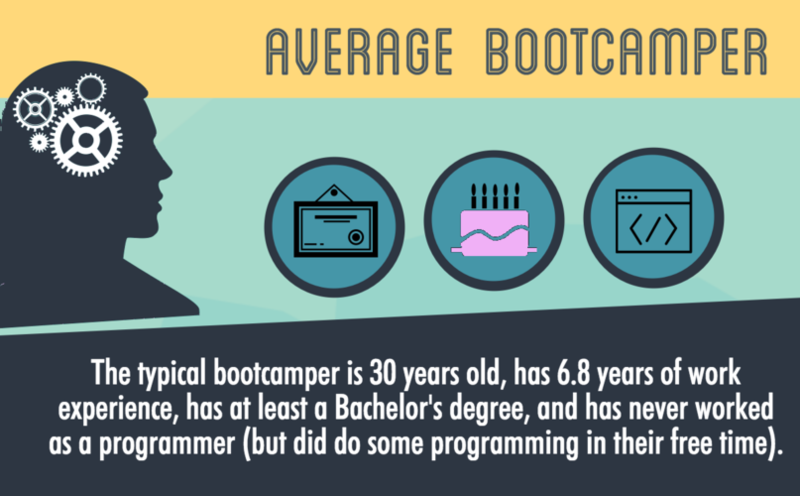 Did you research other coding bootcamps? What made you choose The Tech Academy? I was living in a really small town called Fort Bragg in California. I wanted to do an onsite bootcamp, and I wanted to move to Portland, so I started looking there. I kept coming across The Tech Academy in Portland, and saw they had really good ratings. I decided between that and Coding Dojo, in Seattle. I eventually chose The Tech Academy because of their 99% job placement rate, and the career training part of the course. I knew I could teach myself to code, but I needed someone to teach me how to be professional in an environment I’d never been in. The Tech Academy really stood out to me because of that. How did you pay for the tuition? Any creative tips you can share with our readers? I just worked really hard and saved up money. I came halfway close to affording the whole tuition. I was going to work even more and save up the rest, then my uncle saw how hard I was working, and gave me a loan to go for it. He said I could code some stuff for him in the future in exchange – I’m really thankful to him. They made me take an IQ test and a personality test. It was a standard personality test that asked what you would do in certain situations, how certain things affect your mood, and that kind of thing. They also asked me about my future goals, and why I wanted to move forward with a tech career. They were definitely curious, instead of just trying to grab everybody’s money. They wanted to know what I wanted to do with this education and where I wanted to go. The great thing is, I got the experience of both worlds – the remote and in-person training. The Tech Academy offers an online training program with students across the world. When I arrived in Portland, some family emergencies came up, and I had to head back to California. I’d already enrolled and my start date was within two weeks, but The Tech Academy was very flexible and the team transitioned me into the online course instead. They called me through Skype, and I could message them to ask questions, or send emails. I ended up doing the whole program remotely. Upon finishing the course, they allowed me to go work with them for a bit so I got to see the campus, meet students, and see how the onsite course works. What was a typical day and teaching style like? The Tech Academy goes through the really easy stuff first, like HTML and CSS, then you start learning back end technologies. On a typical day you have to get through a certain number of pages and exercises. Each day starts out with reading a bunch of definitions to get the terminology down for that day’s lesson. Then you watch some course videos and you get a problem to work through. The instructors explain what you need to do, but they are very vague on how to do it, because they want you to figure it out. That teaching style is very beneficial for the real-life coding world, because that’s how it is – your manager is not there holding your hand telling you what to do. At end of day, you check in with your Tech Academy instructor, and they ask what you had trouble with that day, what did you feel you really benefitted from, and what did you learn, etc. How often did you interact with students in the remote course? When you work remotely, you mainly work on your own. There is a live project at the end where you work with other students. It’s better to do it in person if you can, but I did it remotely, and it was still very beneficial. We had Slack channels where we could communicate, we had morning meetings, standups, and talked on the phone. I was very much there, even though physically I wasn’t. How often did you interact with instructors and The Tech Academy staff? Every day pretty much. When I had a simple question, they would try to answer via email, or if it was something more difficult, I could talk with someone one-on-one. I once had an instructor who called me and we were on the phone for two hours trying to figure something out. Then at the end of the day sometimes they’ll text you or check in to see how your day went. They are definitely there to help you. Every Friday, The Tech Academy has a live tech talk, where people already successful in the tech industry – sometimes it would be an alum – would visit the Portland campus, and remote students could watch it live. They talk about strategies, what to do, and sometimes The Tech Academy CEO does tech talks about becoming a software developer. What was your favorite project that you built at The Tech Academy? I didn’t really build any complete projects during the course because I went through it really fast – I wanted to get through it and get a tech job. One of the coolest projects I worked on was when The Tech Academy hired me to go on site after I graduated, and we built out a whole new online system for them. That was really fun. How long did it take you to finish the program? Was that the standard length of time? It took me 4 months full-time. The standard length of time is 5 to 6 months. They try to wrap everyone up in 6 months, to get out and start applying for jobs. They do have students who finish as early as 3 months, but I’m not sure how that’s possible! How did The Tech Academy prepare you for job hunting? What advice do you have for other bootcampers going through the job search? That’s where I found The Tech Academy really excelled. Every Wednesday we had terminology training where they would ask us basic tech questions, and a lot of database questions which get commonly asked in interviews. Also, the Job Placement Director, Aaron Frichtl, would sit down with us every morning and do mock interviews and prep. He would ask in a one-on-one how the job search was going, and how many jobs I’d applied to. Aaron attends tech meetups pretty much every day and is constantly making new connections. When I graduated he was sending me constant jobs and referrals, and told me what to apply for. Tell me about your job search once you graduated. I was living in a really small town, and that really hindered my job search. I found some remote jobs with clients, but couldn't get a full-time job. I was also applying for jobs in other cities, but employers usually wanted me to attend interviews in-person. In the tech world, they say you can attend interviews remotely, but I found that wasn’t really the case for junior roles. They want to see you in person, see your mannerisms, and how you react. I would get leads who would say, “Come into the office,” and I would say, “I’m in another state,” and the whole thing would end. Eventually, one of The Tech Academy instructors saw how hard I had been working to find a job for 3 to 4 months and how I was having a hard time. He offered me an opportunity to come out to Portland, and work on a website in-house at The Tech Academy. He said, “We know you’re a hard worker, and you can look for a job on the side.” So I moved to Portland, where they taught me a lot more .NET to build the site, and we used React as well. It seemed to be an odd combination using React and .NET but it was really fun. That role provided me with the flexibility to do job hunting and go to interviews when I had to. This was about 3 months before I found my current role. Congrats on your new job at Coates Kokes! What’s your role and how did you find it? Coates Kokes a marketing agency and I’m one of the lead developers. I first saw the job on LinkedIn. They were looking for a web developer and I sent a resume in. I think my marketing experience with Instagram caught their interest, as well as my coding skills. My job hunting involved sending tons of applications. I sent out around 1000 resumes in total. I got decent responses, but many didn’t turn into interviews. I ended up going to six or seven interviews before I got a job. Most of those interviews went pretty well, but it’s a tough world. When did you start and what does your role involve? I started on August 1st and I build out a lot of websites for clients. We have a lot of government and cause-oriented clients and one of our main clients is a huge hospital district out here called OHA. We also have Pelican Brewery which is one of the biggest beer companies in Oregon. The marketing agency is pretty big, and includes PR and advertising. My team is just two designers and a freelance, part-time web developer. I’m the main developer onsite, working with the designers to build their designs into actual functional websites. Are you using the stack/programming language you learned at bootcamp or a new one? How do you learn a whole new programming language? I’m using a lot of PHP actually. They hired me for PHP which I didn’t learn at The Tech Academy, so I had to get up to speed on it. We also do a lot of custom WordPress websites. How did you learn PHP so quickly? How did the company ramp you up and train you? To be honest, they thought I was more experienced than I was, so they didn’t do much training. They put me straight into it and I had to fight the fires. It has definitely helped with my learning. If I had gone into a more entry level position I would have had a much slower learning process. You’ve got to work hard, there’s no secret. It’s just lots and lots of hustle, dedication and ambition. Get up early in the morning, do some coding before work, then get to work and do more coding until you finally get up to speed and can start relaxing a little more. I just powered through – you’ve got to be a bulldog. I’m almost there now, but I’m always a hard worker. I love progress in any manifestation so I don’t think I’ll ever really take a break. It’s been really useful in that I’ve had experience dealing with customers. (I know how to deal with an angry customer, or a happy customer.) That definitely helps when I’m sitting in meetings with clients and it’s my turn to speak – I know how to talk professionally and simplify high-level technology jargon for someone who doesn’t know much about technology. Definitely the rejection. I sent out about 1000 resumes, and got very few replies. The interviews that I went to before I got hired seemed to go well, but I got emails the next day saying, “You’re a great candidate but we have better candidates.” The hardest part is when you know you’re very good at what you do, but you have a hard time communicating it to someone else. How do you stay involved with The Tech Academy? Have you kept in touch? I definitely keep in touch with the instructors, they are great people. One instructor is no longer working there, but he still texts and calls me to make sure I’m doing ok at my job and I’m happy. I work a block away from The Tech Academy campus in downtown Portland, so I go and talk to them, or go out for lunch. It’s a family over there – they don’t take your money and run because they really care about you like one of their own. They go above and beyond for their students. What’s your advice to someone in a similar position to you, who may not be going to college, but wants to become a web developer? There’s nothing to it but hard work. If you put your mind to something and power through it like a bulldog, you will accomplish anything in life, no matter what you want to do. That’s the key. There’s no secret formula, you’ve got to work really hard and act like you want it. It’s survival. Definitely teach yourself on the side, don’t just rely on what they teach you. With any resource in life, never rely on what they teach you, but always try to learn more. Try to expand your abilities and broaden your knowledge. Another thing is to find your technology niche. That’s one thing I didn’t do until very late and it hindered my progress. I knew everything, I was a jack of all trades, but couldn’t go deep into something. Overall, always stick to what you believe and go forward with it. People might tell you that what you’re doing is stupid, that you can’t do it, you’re too young, too old, or you don’t have enough experience. But it doesn’t matter – you can always make it work if you want to make it work! In 2014, Adam was working as a business trainer in the restaurant industry, but kept thinking about how much he enjoyed coding as a kid. After going through the software development program at The Tech Academy in Portland, Adam was hired as an instructor. Adam tells us about his path back to coding, the learning structure and curriculum at The Tech Academy, and why he finds teaching so exciting and rewarding. Tell us about your experience before you became a teacher at The Tech Academy in Portland. In my prior life, I worked in the restaurant industry. I spent a lot of time on the road training owners and staff on the operations of the business. I came to the Tech Academy looking for a career change. It was fantastic. I think I am the poster child of code schools; with the right attitude and aptitude, I'm living proof that anything is possible in the tech industry. When I finished the courses here at the school, I moved right into a role as an instructor. How did you hear about coding and decide that it was the industry that you wanted to move into? When I was a kid, I had an old Texas Instrument. It was one of the first consoles that Texas Instruments brought out. I was really young, and I remember as a kid coding programs all day long and how much it kept my attention. I truly remember how enjoyable that was. I fell back on that when my friend told me about The Tech Academy. I was in a career where I was never home, and wanted to change the pace. The tech industry allows me to have that flexibility. How did you find out about The Tech Academy? My friend was with a company that does placement in the tech industry, and she told me about this wonderful new school that opened here in Portland. I did some investigating on my own for what would work for me and my schedule. Here in Portland, we have several excellent bootcamps, but the one thing that stood out for me about The Tech Academy was I could do the courses in my own time. I had a very busy schedule and their philosophy was, “life happens”. If you needed to have a day off from school, you take it. For other schools, this was not the case. If I was not able to make it, I would get behind in my studies. Tell us about your experience teaching or training before The Tech Academy. I taught people how to run the operations side of restaurants. I would teach employees and the owner or franchisees on how to run their business all the way from operations, to the build out, to food purchases. I also consulted with the architects in creating these restaurants throughout the nation. What is your role at The Tech Academy and what classes or lectures do you teach? I am the Lead Instructor, and I oversee a team of instructors. I make sure instructors are sitting down to meet with students and that our remote students receive answers and help with any problems that they're dealing with on a daily basis. We encourage each one of our instructors to sit down with our students. I also help with projects and job placement. What have you found is your personal teaching style at The Tech Academy? My teaching style is not judgemental; I’m very goal focused. I also like to be humorous. I think my own personal teaching style is as such, because I have walked in the students’ shoes. I've gone through the course, and know the course. I also know that there are some struggles. I like to point students in the right direction and not give them the answers. If they're completely stuck, we like to get together as a team and really help them through the process. Sometimes it’s just about letting students talk about the problem and guiding them to the answer. Every single one of our students is brilliant and very dedicated to this program, it's so exciting. How does The Tech Academy’s self-paced style work? Currently, we have the course set up with students that are beginners. The Python, C#, HTML, CSS, and database students sit together in a group, and we have instructors who are focused on them. We then work separately with the students who are moving at different paces. We have several instructors who are available at all times to actually sit down with the students one-on-one and work through any issues they might have. We use a learning management system where the whole program is online, so students can progress at different paces. And we're able to keep track of where each student is at, how they're doing, and see daily reports so that we know their main struggles. We’re also on the phone with our students daily. What's the structure of learning used at The Tech Academy? The learning management system is a neat process because it starts off with computer basics. There's a lot of learning in that first course and a lot of updates for people who are familiar with the system. The structure offers a good pace for learning as it walks you from one course to the next course. We take small steps. For example, we teach WordPress so that students are able to develop their own websites. It’s wonderful because people that are new to this industry have often never built anything. Then we have drills, which are tasks or exercises to reinforce the learning material. They show how the students progress and learn through C# and ASP. There are drills in every course, including real life scenarios with Python and C#. It's pretty exciting. Do students come into the space everyday? How does scheduling work? It really depends on each student’s schedule. We're open from 9:30am in the morning until 9pm at night, Monday through Friday. We always have instructors on site. We're even open on the weekends for those that can't make it because life happens, or people have to work. The students have my number if they find any problems; we're always there to help them. Every morning at 11am we have a standup, and focus on any challenges or any problems that students might have with a particular course. We ask them what they were able to accomplish yesterday, what they're going to accomplish today, and if they have anything that's been preventing them from moving forward. Do you have a remote only option at The Tech Academy? Yes. We have students who are in Europe as well and a lot of students throughout the United States. They're able to Skype, or they're able to talk on the phone, pour things out, send in their code, send in their solutions, and they're able to follow the learning management system. How many instructors or mentors do you have at The Tech Academy? We have two remote instructors who are available specifically for our remote students. We have four in-house instructors including a live project instructor and then we have two job placement directors – one for the specific goals of remote students and the other for in-house students. Then there is me, the lead instructor. How many students does The Tech Academy have in a class at any one time? At any one time it all depends on the day. Here in Portland, it could be anywhere from 20 students to more than that. On average, it's 15 to 20 students in-house, and then throughout the remote student population it’s much more. We currently have over 120 students in our curriculum, with half of them being remote students. How long do students usually take to get through the whole program and how many hours do they normally put in? If they're able to put in 40 hours or more a week, they can get through our program in no longer than 15 weeks. That includes a live project that is a two weeks spread. If they're doing part time, it's about 30 weeks. Some people take longer than 30 weeks depending on their schedule. Some have fulltime jobs and a family. We accommodate all of our students, and want to provide an excellent service for everybody; that's our goal as instructors. For me especially, if they need to take longer, that's great. Can you explain The Live Project students work on at The Tech Academy? The live project is wonderful. We have a few clients who we develop applications for, so students are working with real clients. I think it's one of the best experiences for students because you’re building real life applications, but you're in an environment that is safe. If you break something it's not devastating, we're able to fix it, and it helps them get the background needed. Once it’s done, our students are able to post that code, a block of code, or something that they worked on in their GitHub accounts. They're able to showcase that, which I think is really wonderful. It's cool to see the passion that they have when their projects go live. Does The Tech Academy give assessments to track people’s progress? If a student at The Tech Academy isn't keeping up, how do you help them get back on track? The curriculum is designed to start you off on a pretty simple pace. Each course gradually brings you to an understanding at each point. If we find someone that has not passed a particular course or is behind in one of those courses, we as Instructors are able to see the daily progression. If the student is remote they're sending in their reports and if they're local we're able to sit down with that individual student, and walk through any misunderstandings. Because of the way the program is set up, we can actually go back to something that the student may have missed or not had a clear understanding of; and work through it with them. What's the application or interview process like for The Tech Academy? There's no coding challenge. There are two tests that applicants take. One is an IQ test and the other is a personality test. The process is a little different than when I was applying because we were a smaller school at the time, but I did the IQ test and the personality test. How does The Tech Academy help students find jobs? We have two dedicated job placement personnel. One is for remote students and one is for in-house students. They do roundtable meetings where they have coding challenges and whiteboard work. The instructors help them with interview behavior and questions, and we also have a fantastic course for the job interview and job placement. Our main focus is to get students an amazing job which they love in this industry. We take that to heart because there are a lot of people like me who wanted a career change. They wanted to do something different, and might have been stuck in their lives and unhappy. When we can place somebody in a job, it's exciting for everybody. What sort of jobs and roles are you seeing The Tech Academy graduates get? A lot of students become junior developers. Most are working with .NET, and C#. If they need to perform front end, back end, or full stack, we're able to help through all that. We've had students placed at New Relic, Platt, Salesforce, Mindtree, Nike, and HP. One of my favorites was a student who was placed in Disney, and his story was amazing. I was brought almost by to tears about how he was an Uber driver before he did our course. It's so incredible to see somebody move from being an Uber driver to working with Disney, HP, or Microchip. Those are the major ones that we've placed. Many graduates have been placed at startups and other small businesses around Portland. What meetups or events in Portland would you recommend to people who are thinking about doing a bootcamp? There's Calagator, which lists tech meetups here in Portland. There's one or two events every single day if not more that you can go to. Look at each school in the area, look at the offerings, and see if it's a fit for you. Ask all the questions you can think of, go to meetups, and talk to people. You can find a lot of bootcamp or college students at local meetups. If you're interested in doing this, make time to go out and find something that you might be passionate about. Does The Tech Academy hold meetups that are open to the public? We have some on Friday afternoons where we give what we call a Tech Talk. We’ll have local students meeting with a business leader here in the area. We also do open houses so that potential students keep coming to see what we do. We're really settling down on doing meetups at night. Next, I think we're going to start working on a Python meetup open to the public. We're really focused on this industry and letting people know what we do. Anything else our readers should know about The Tech Academy or making a career change? If you have a passion like me, you don't have to have a background in computers. If you have the drive to learn new things, if you have curiosity, and an aptitude to understand of logic, go for it. There are so many people out there hiring junior developers. You can find a job, and you can be happy. If you have a passion, I would just do it. Annandra Grace had an advancing career at an insurance company for 16 years, but was ready for a new challenge. She came across an ad for The Tech Academy while searching for jobs in tech and was immediately intrigued. After a campus visit that convinced both her and her brother, a self-taught programmer, she enrolled in the Portland .NET bootcamp. Now having completed the course at Tech Academy and taken a job at Prosper IT Consulting as a project manager, we sat down with Annandra to talk about that persuasive campus visit, her experience with the self-paced curriculum, and working on live projects for real clients. Tell us what you were up to before you enrolled at The Tech Academy. I earned my bachelor’s degree in Marketing and International Business Studies while I was working for a large insurance company as an underwriter. After I earned my degree I was promoted with that same company quite often. I led underwriting teams and customer service teams, ran compliance projects and then most recently, I led several countrywide call center initiatives as an operations manager. I decided to resign from my position after 16 years. It was a big leap of faith but I was completely ready for something entirely new and challenging. Did you ever take a computer science class during your undergrad? No, I didn’t. I took an information technology class, which was more of a basic overview. Had you done any self-teaching with resources like Codecademy or Treehouse? Nope. My younger brother is a senior developer and he really piqued my interest in the world of programming. He is a self-taught programmer, and I watched his struggle and all the effort he put into it - and his passion is what made him successful. I was a little concerned about whether I’d be able to follow in his footsteps. How did you find out about The Tech Academy? Did you research other bootcamps? I was looking online for jobs in the tech field and I noticed an advertisement for Tech Academy. I had no idea that these bootcamps even existed. I really did think I would have to go back to school for a computer science degree or struggle and self-teach. I immediately called the school for an interview. What did your brother, a self-taught developer, think about you doing a bootcamp?? I brought my brother with me on my visit to Tech Academy because I wanted to be sure he felt I would be getting a good deal. He interviewed Erik and Jack with me and asked them questions. By the time the interview was over, even my brother was excited for me to sign up. With as much work and time as my brother put into his own self-teaching, he said “I wish I’d gone through a program like this when I first started.” Hearing him say that convinced me more so that this was the place to be. Did you have a specific career goal in mind when you started at Tech Academy? No, I didn’t. I wanted to be generous with myself. I had built up a financial cushion before I left my prior company so that I could take the time to figure out what I wanted to do in life. My only goal really was to learn everything I could about the technology, the programming languages, the industry and to network with others in the industry. I wanted to test myself and find out what I was good at and what I was most passionate about because there are still many different avenues you can take in tech. The process started with a tour of the school. We watched a video of Erik discussing the school and the curriculum. Then I had the in-person interview with Erik and Jack. There was a filtering process that consisted of an IQ test as well as a personality test. The IQ test was just to confirm that you could read, write and comprehend. And the personality test ensured that you could effectively interact with others and that you’re the type of person that can be successful in both the learning environment and on a job. Tech Academy is self-paced. How long did it take you to get through the whole curriculum? Were you limited to three months? They’re very flexible. They estimate that 4 months is what it would take if you could dedicate 8 hours a day/40 hours a week. But many of the students are working a job already and everyone has different schedules. Some even get hired before they’re done so it may take a little bit longer. Since there isn’t a specific start date, do you interact a lot with other students at Tech Academy? I didn’t interact with other students at first or even through most of the prep work. The course is set up through a series of reading materials, video tutorials and practice drills that you mostly work on by yourself. During the live projects, however, you get to work with a group of other students. Who were the students that you worked on that project with? Did you get to choose? No; it depends on when the students are at a point in their course studies that they’re qualified to work on a live project. How many other people would you say were in the space at the same time with you? Since the time I started they’ve expanded tremendously. But when I started it was about 25 and most of them were onsite at the school. How many women were studying with you when you took the class? I think 5 including me, which was good. I really was wondering if I would be the only one! Did you ever consider doing the virtual version of Tech Academy? I like taking the class in person because of the energy and being around other people that are going through the same thing, even if I’m not talking to or working with them. It’s a whole different feeling of support, which is something I needed. Were there TAs or an instructor in the classroom with you in case you needed help? That’s one of the great things about being on-site. There was always an instructor available to give assistance at any point when you’re going through the program. They check in with you each day even if you haven’t reached out to them. They always make sure they know where you are. The instructors are also available and reach out daily to the students working virtual. I was a little concerned at first that there wouldn’t be live lectures. But I really feel that Erik and Jack put so much thought into the content- I never felt like I was missing something. In fact now, I feel like I may have missed something if there had been more live lectures. What if I’d missed a day or wasn’t quite at a point where I could comprehend what a lecture was addressing? Can you take us through the curriculum at Tech Academy? What was the feedback loop like? Were there things that didn’t work for you about Tech Academy and how were those addressed? As you’re going the course you submit a daily report which asks about your progress and successes, any gaps, struggles, or your suggested improvements to the program. You get the opportunity to give feedback daily. We also meet in-person weekly to talk through any issues. The curriculum is continually modified as needed based on feedback. Were there exams or assessments that you did during the course? There are assessments throughout each of the courses and if you can’t demonstrate either through the practical drill or by articulating the concepts, then you don’t get to move on just yet. You are not allowed to progress too quickly without demonstrating that you understand. If you were, the program wouldn’t work as well as it does. How many hours a week would were you spending on Tech Academy? I had a lot of work and study and intense focus going through the bootcamp but I never had to spend more than 30-40 hours a week. Can you tell us more about the live project you mentioned? What was the project you worked on? Everyone works for two weeks on a live project that’s actually commissioned by a client. It’s great because you have something really tangible on your resume other than course drills which you can highlight. Throughout the process I got to meet with the client in-person and take him through what I did. It was a real world experience that gave me even more confidence that I could succeed at this. Is that site live now? I wish! Actually the client is using it privately as part of a bigger initiative. What was the approach to job prep at Tech Academy? They are very focused on making sure that every one of their students is a success when they come out and that they find a job. As far as I know they’re still at 100% job placement for other students. There is a course specifically designed to make sure your resume is updated and that you get interview practice and soft skills training. They also gave us the opportunity to network with others in the industry by bringing in guest speakers so we could ask questions and get to know what’s really expected as junior level developers coming out of a bootcamp; how you can make a good impression and really get your foot in the door. What is different about the software developer’s resume and a typical resume that we might be used to? On a developer’s resume, you definitely highlight the technical aspects of what you do, the languages and environments you can work in, and the projects you’ve worked on. I also highlight my soft skills, my leadership abilities, etc. Did you get a new job after graduating? Yes. I work for a small software consulting firm called Prosper IT Consulting as a project manager. I also get the opportunity to work on developing the software applications that we’re actually contracted to deliver. I get the best of both worlds. Did you go through other interviews before you took the job with Prosper? Yes. I interviewed with two recruiting offices, but meeting people and networking in the industry was what proved most valuable to me in my job search. There are always meetups going on in Portland where you can network with people, exchange cards and ask questions. The more consistently you go to those meetups, the more connections you make and potential job opportunities you can find. Do you see Project Management as your long-term career? I haven’t decided long-term yet, so much still interests me, but I’m really enjoying working at Prosper IT consulting where I can both develop and lead projects and teams. Was Tech Academy worth the money and the time investment? Yes, absolutely yes. I honestly think that the return on your money and time investment is tremendous. With all the care that the co-founders put into making this program work, signing up is a no-brainer as far I’m concerned. Is there a type of person you wouldn’t recommend it to? I wasn’t sure about the types of backgrounds and skill levels I would encounter from the other students as I came into this- there was such a diversity of skill levels. I can’t think really of anyone that I wouldn’t recommend this school to, except maybe those who don’t have a sincere interest in learning software development. Learn more about The Tech Academy on Course Report or by visiting their website. Erik and Jack are the minds behind Tech Academy Portland (formerly Prosper IT Academy), a software development bootcamp that has grown and evolved over the past year. We talk to them about the importance of professional preparation in finding jobs for their graduates, their impressive placement rate (100%! ), and the need for diversity and flexibility in the growing bootcamp market. Aside from the name change, how has Tech Academy Portland evolved over the last year? Jack: In terms of the curriculum, we’ve added HTML5 and CSS3, Wordpress, and Python. The main reason we added Python is because it’s really in heavy demand right now and when you have graduates who know the .NET framework and Python, the job placement successes are incredible. We also have a mobile development course. Erik: One of the things we’re happiest with is that our curriculum is a dynamic object – to be a bit of a programming geek. We’re picky about our students and who we let in the door; as a result, we get really bright, friendly people on the floor and some of the coolest things that we’ve been able to implement in the curriculum have been based on feedback or ideas from the students. Other things we’ve added to the curriculum have been a strong emphasis on PHP, simply because the LAMP stack is so common. Wordpress developers who can build custom themes and custom plugins and work on the back-end are valuable and that comes out of PHP and MySQL. We’ve also really fleshed out our live project program in coordination with a few consulting companies. The live projects are almost always with an actual paying client, working for them on a real production application with a deadline. Our students are rising to the occasion and they’re handling complicated MVC analysis projects and really challenging, unusual web projects for some interesting business sectors. That live project is really proving to be the point where students are putting their skills together. How is job placement going? We’ve added a job placement course which basically teaches the students how to do a job interview, be well-mannered and the soft skills they need. We can teach somebody how to code but they also need to know how to work in the environment, collaborate, what to expect as a developer in day-to-day life and how to interview. The thing we’re most proud of is that every graduate has been hired. That’s the biggest deal to us. The course is self-paced, but how long is it generally taking students to get through the whole curriculum? Jack: Because it’s self-paced, a lot of our students will come in and do their work here but then work on it more from home. People are getting through in about 15 weeks. It’s a lot to cover but when you clear your life and you go flat-out on it, it works great for people. We really stress the fundamentals so that when you’re learning these more advanced things, people blast through it a lot faster than if you throw them in their first day. Do students go through all of the modules of the curriculum that you see on the website or are they picking a specific path that they want to go down? Jack: We designed the program with a step-by-step approach. The fifth course will refer back to things we taught you in the fourth course. It flows really smoothly from one thing to the next because you don’t want to go from doing something like Wordpress to doing MVC or something – that’s a big jump. Putting everyone through the whole curriculum has worked best. Even those who have some past experience are finding that when you’re self-taught, you don’t know what you don’t know. Erik: Our approach is decidedly a “bottom up” approach rather than “top down.” A fair percentage of bootcamps have the philosophical approach to throw the people into a framework, start building immediately, and figure a lot of things out along the way. There is a certain degree of wisdom to that viewpoint, but I personally have found that this works well when one already has a pretty strong sense of the fundamentals so they can sort out important data and lessons, and they can make those logical connections much more quickly. When you throw people into it who don’t have any technology background, it can be overwhelming sometimes. Our philosophy has been to build the fundamental blocks before we give them a specific language. We teach on a gradient where students are learning simple scripting or markup language, then they start gradually implementing object-oriented programming and web development. But we do it on a step-by-step basis. You mentioned that you have been picky with your students. What have your students been like over the last year? Erik: There’s lots of diversity; we’re all over the map. It’s really cool. Jack: It’s great; we have all sorts of different ethnicities, we have several women attending, we have some older and younger people. I would say that 10% of the people that come in are pretty advanced, decent coders with technology experience but not able to get a job. They’re coming here to round out their skill set and get placed. I would say another 40% or so have dabbled in coding, and about half have no experience; they just know that being a developer is a smart career choice. Erik: In 2015 we’re adding a couple other really hot technologies to the program. One of the elements we’re really going to stress this year is security. With the whole Sony thing, security is a big issue. How many students have you graduated to date? Jack: in 2014 we graduated 20 of our people and they all got placed. The other 40 will be graduating over the next month or two, and some of them have already gotten jobs. What’s the philosophy behind the rolling start instead of having cohorts of students all working together? Jack: There’s a couple of reasons. One is that we hate turning people away and we found that when we did three or six-month cohorts, our scheduling didn’t work for certain people. We didn’t want them to lose out on the opportunity. We’ve had a fair amount of people whose lives wouldn’t have allowed for this program if we didn’t offer open enrollment. Our main philosophy is that we want to make our program available for everybody. Also, we have five people currently doing the program remotely from their homes. We have a full remote setup; our instructors use Skype and screen share. Since the course is “self-paced,” could someone work on it part-time for 30 or 40 weeks? Jack: That’s a good question. We’re open from 9 a.m. in the morning here till 10 p.m. Mondays through Fridays. We do have people working 40-hour a week jobs so they can come here on weeknights and work from home on the weekends and those students are doing great. What does a typical day look like? Is there lecture? Are students working one-on-one with an instructor or going through the curriculum on their own? Erik: It’s actually a mixture of all three of those approaches. Every single course has its curriculum and a series of steps that need to be completed in order, without jumping around. For example, when students learn HTML and CSS, they learn through a combination of recorded lectures, textbooks, code exercises, pair programming and practical assignments. What doesn’t happen in our course rooms is live lecture. We don’t do live lecture for a number of reasons, not the least of which is that if you miss one word in the middle of a live lecture, you’re in trouble. You can either keep interrupting the instructor, or you can hope you’re going to figure it out along the way. We do filmed lectures so students can watch when they need it. Tell us about a success story! We had a guy who just got a job last week- he's a young kid who was working as a bagger at a local grocery store. He had to go through a lot to get through this program; not just intellectually, but he also matured a lot and gained a lot of personal responsibility. The degree of change that happened in this man’s life over the last three or four months is profound. We make Tech Academy Portland as accessible as we can because ultimately, this industry opens up a really great life for the right type of person. Have you had many younger students or students who didn’t do an undergrad degree at Tech Academy Portland? Erik: Oh, yeah, there’s a lot. There’s a 24-year old kid on the floor who will be done pretty soon. His entire tech experience involves playing a ton of video games, and he had no post-secondary education at all. On the other hand, we taught a guy who got a CS degree, tried to get a job for six to eight months, wasn’t getting hired anywhere. He did our program and got hired two weeks before graduating. We really teach people the skills they’re going to need in the marketplace. Their resumes reflect what employers are looking for and they have real coding experience in these areas. How are you attracting a diverse applicant pool? Jack: We had some aspirations to network and market with diversity groups in our area but it hasn’t shown to be needed because of the signups we’ve been getting without marketing. I would say 40% of our students are under the age of 24, and 30-40% of them are over 40 and the rest of them are in the middle. Erik: We have seven women currently enrolled, and we really want to be a part of the women in tech movement that’s happening right now. We’re looking to get involved with the Chicks Who Code organization in 2015. What kind of jobs are students being hired into? Are they full-time developers now, freelancing, working for startups or enterprise companies? Erik: The most common outcome is that they’re getting hired full-time as developers - 40 hours a week at companies in the Portland area. Most of them are companies that have been around for a while. There are a couple of graduates who went to startups. The average annual salary is currently a little over $60,000 – which is higher than we expected. For the Portland market that’s a really good salary. Jack: I don’t think we’ve had anybody go into freelancing yet. We have a couple of students currently attending who say that they want to freelance when they graduate. But most of them are getting run-of-the-mill 9 to 5 jobs. Are you both mentoring and instructing, or do you have other instructors? Jack: Right now Erik and I tend to concentrate on curriculum and business development and we have three instructors. The instructors handle virtually everything; they’re all graduates of our program. Erik also sits down with each student at least once a month personally to interview them and see how they’re doing. How do you see the bootcamp industry evolving over the next five years? Jack: We’ve been involved with a lot of local bootcamps, and we have aspirations to be a national bootcamp. I think over the next five years you’re going to see five major national boot camps that are everywhere. And we hope to be one of the major boot camp names in America and to be a national company this next year. Are you planning to expand to other cities? Erik: We want to have classes being delivered in 10-15 of the major cities in America but we’ll be based in Portland. We do want to continue to offer that remote online option. We’re actually going to be running a bootcamp in Seattle starting in April! We’ll learn from that expansion and hopefully we’ll just continue emulating that plan throughout the US. Want to learn more about Tech Academy Portland? Check out their School Page on Course Report or the Tech Academy website here! Erik Gross took his background in classroom and practical instruction for the Navy and combined it with his expertise in .NET and Java. Add the clear shortage of talent in the booming Portland IT market, and Erik knew he had a recipe for success. He started the Prosper IT Academy (now Tech Academy Portland) in 2013. We talk with Erik about their unique rolling admission model, how they team up with staffing partner CorSource, and what students learn during their ten weeks at Prosper IT. What were you doing before you started Prosper IT and how did you get into this space? My technical and education background both come from the Navy. While I was in the Navy, I was a Nuclear Reactor Operator and Electronics Technician, and I was also a classroom instructor teaching computer fundamentals, electronic, nuclear power, physics- everything you need to know to operate a nuclear reactor in a ship. I was also a practical instructor inside the ship, and I found that I loved it. All the way through my professional career, I have always had a mentor role with getting people up to speed on changing technologies. Fast forward to the last several years, and I’ve been operating in Portland. The IT market in Portland is really vibrant. We’ve got a strong .NET/Java enterprise community, and also a strong startup community. I’ve been part of the enterprise community for a long time, and I realized that there was a distinct shortage in talent. I was pulling in all of these side projects, and it was hard to find junior developers to work on these projects. So a buddy of mine and I started to create our own talent; we developed a curriculum and taught best practices to this group of junior developers. Everybody who went through that prototype program got jobs in IT- it worked out really well. Then about a year ago, my son came home from school (he’s 15) and said he wanted to do a developer bootcamp. The lightbulbs went off, I did all my research, and realized that my specific advantages were that I was going to teach .NET, because that’s the stack I know. We weren’t going to teach Ruby because I don’t know that stack- what I do know is how to be a well-rounded .NET developer. So I started putting together this course to create a well-rounded developer. We produce developers with the technical skills to be an entry-level developer, but also the soft skills with the ability to communicate well, handle stress, and genuinely network and establish long-term relationships with people. Why did you choose to teach .NET? It’s what I know, but also, it’s the area that we need talent. Everyone I pitched the idea to just lost their minds - there is a tremendous demand for .NET talent in this town. It’s mindboggling how many jobs there are relative to the number of developers - we have Intel, Nike, Techtronics, IBM, all of the major healthcare companies - and they’re all .NET stack. In fact, we work with a partner, CorSource, who handles all of the interview prep and resume building for us. They came up with 143 different companies in Portland that employ .NET developers! What are you looking for in potential students? Do students need to have any programming or IT experience? We have two different offerings in our school - one is for the experienced developer who has been on the job for 2-4 years and is well-established in the industry, but wants to get up to speed in a newer technology like ASP.NET MVC, test diven development, or unit testing. This is not a bootcamp environment; it’s 1-2 weeks long and is a crash course. The other is the bootcamp. The only requirement is that you’re very bright and have a good personality. To that end, the applicant testing isn’t about IT knowledge. We do an IQ test, which tells me a lot. Then, we do a personality test which helps weed out people who are unstable or are putting on a front. Because we weed those people out, our classes are really awesome, even though some of the students are smart-alecs! It’s a really great dynamic - they naturally form teams. That’s the kind of product we want in the IT community - a develper who is friendly, can take criticism well, is naturally inquisitive and isn’t insecure. So students can start the program at any time. Do they form cohorts or is this a one-on-one experience? For the first third of the program, a lot of learning is one-on-one with the instructor. First, we assess knowledge of computer science fundamentals with a pretty brutal, two-hour test. We don’t care if they do well or poorly on it, we just want to know how much they know about number systems, algorithms, data structures, basic computer architecture, and fundamentals of programming. Based on those results, we create a custom training program to fill any of those holes. Some people have to learn all five modules and others only have to do one or two. How many students are in the space at the same time? 6-10 at a time. We have 2 instructors. Are you getting a lot of interest in the program? Last week, we got 20 inquiries and 3 applications. We just kicked off a marketing campaign. I want to be able to deliver well - we just added another office so we’re ready for that. How selective are you with applicants? We are selective, but we spend a good amount of time interviewing. There are some people who I encourage not to even do our initial testing. But once a student gets through the testing, we’ve had 100% acceptance rate. What is the makeup of your cohorts? Do you do outreach to women and underrepresented minorities in the community? We have about 20% women and 20% underrepresented minorities right now, which is fine, but I’d like to get that up. One thing we’re doing is outreach in local education to tutor STEM subjects in middle and high school. I’ve worked in the enterprise IT environment for so long, where often 40% of the workforce are women. I have a phenomenal track record working with women in this industry, but most of the women I’ve worked with have been from India, because they’re really well educated in STEM there. Probably 90% of our applicants are men. We’d like to change that. Tell us about the soft skills that you’re teaching students and why that’s important. In-house, towards the end of their technical training, they go through a communications course. This teaches how to ensure that you’re being understood by another person, ensure that they’ve understood you, without getting upset. The communications course handles this well. The main reason I’ve been hired in the past is because I interview well and have gotten along with people - I want my students to have that. Then, our staffing partner CorSource takes over, and they get into the specifics of the interview process and handling difficult questions. They drill the students beforehand, so that they don’t fall down during their first interview. How does Prosper IT help students get jobs in tech once they’ve completed the program? They’re building a portfolio with the two or more live projects they do - I get people asking all the time about our students working on their projects. We have specific requirements about what we’ll accept. It must be a full-stack application and it must have a viable back-end component. We’re not just going to build a glorified brochure page for a real estate company, for example. It also must be public-facing, ideally viewable on the internet, or, if it’s an in-house proprietary app, the client has to be willing to let the students keep the code base so that they can show prospective clients their work. That is their resume. Do you have any examples of projects that your students are working on now? There’s a junior developer user group that just formed in Portland ,and our school is making the website for it. They’re creating the back end to be able to store historical data, keep minutes of the meetings, store membership data, etc., as well as the front-end of the site. Another one is a tool called the Parts Writer, for an Oregon aerospace company who needed the ability to take the materials for aircraft and determine which elements of those parts were new and revised versus parts that the company already has. So it aids them in building highly technical parts and repair manuals. These are live projects, not theoretical assignments. Tell us about your job placement stats and your relationship with CorSource. Does a student get a tuition refund or are there recruiting fees? We’ve placed 100% of our students, and honestly, we always will. One of the key components of our relationship with CorSource is that they organize talking tours, where CorSource arranges events with their clients – our students get to talk with the CEO and developers at the company- it’s the ultimate foot in the door. CorSource is working with us for free, but they want to place the students because that’s how they get paid. On the other hand, I’m forming relationships directly with employers and for those, I negotiate a hiring fee, and all of that fee goes to the student. If a potential student isn’t looking for a job, but maybe wants to start their own company or launch their own product, is that supported at Prosper IT? I’ve never had anyone bring it up. I have a couple guys now who are natural hackers and entrepreneurs, but their goal is to get solid training, work in the industry for a few years, and then launch on their own. Your website says that you will pay for the MTA (Microsoft Technology Associate) Certificate - have you had success with that? I haven’t had a single person test for it. I’m perfectly willing to pay the assessment fees, though! Do you feel pressure to become accredited or work with regulatory agencies in Oregon? I really want to have my finger on the pulse of this - I want to know if anyone is going to either try to suppress this area or try to grab a piece of it, because there is money being made. I don’t mean to seem cynical, but I saw the article about the California regulations, and I know that’s not motivated by concern for the students or protecting them from fraud, because they’re all getting hired at $100,000 per year, so why do they need to be protected? I’ll try to be as far ahead of this as I can. Want to learn more about Prosper IT? Visit their website or their School Page on Course Report. We are a licensed career school and have a partnership with an accredited university (Concordia University). Our own accreditation process is in-progress. Students handle their own housing. Any other information you'd like to share with Rick from The Tech Academy? By submitting, I acknowledge that my information will be shared with The Tech Academy. An email with these details has been sent to The Tech Academy. You've already applied to this scholarship with The Tech Academy.